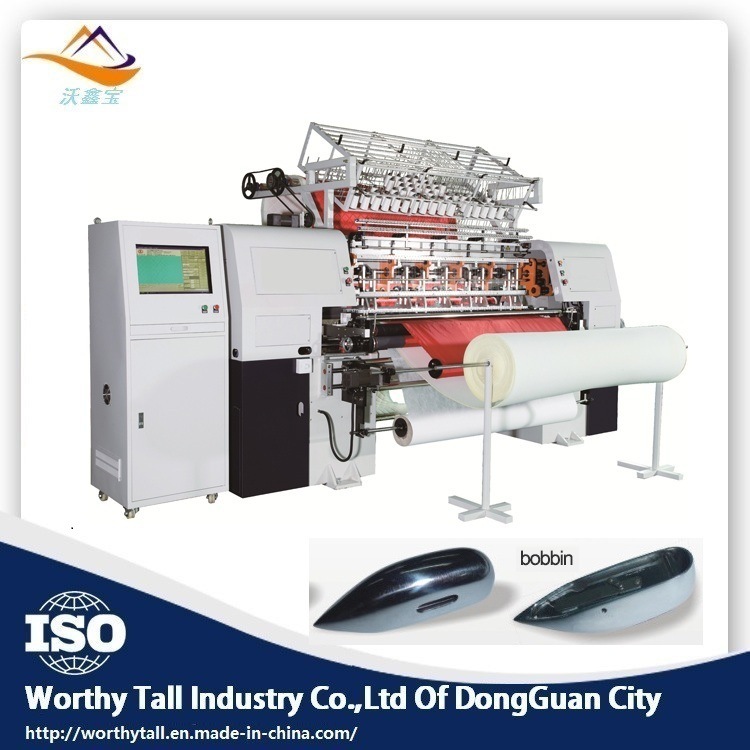 The company's self-developed medical mattresses and sheets special production equipment, this machine is controlled by computer program, using the principle of ultrasonic wireless stitching, through the slitting, cross-cutting and finished product output of the multi-layer PP non-woven fabric. Automatic operation; the finished product has the advantages of uniform specifications, no burrs, strong pulling force, etc. The overall quality is superior to similar products in the European and American markets, with high efficiency and outstanding performance. With ultrasonic stitching technology, only one person is required to operate. The machine console has clear functions and is easy to learn. The rack tube nodules are made of aluminum alloy and are not rusted, durable, easy to clean and beautiful. The company's engineering design, production, commissioning and service are all carried out in the quality system mode. With the company's engineering strength and years of engineering experience, and passed the ISO9001 quality system demonstration, CE certification, we guarantee that the machinery and equipment purchased by your company are implemented with excellent quality requirements and management. 3. The combination of prevention and improvement carries out quality control on the whole process of product development, production, sales, service, etc. 5. Guaranteed implementation according to plan and procedures, and continuous evaluation and verification during the implementation process. In the product development and development. Procurement. Production process. Check and test. Installation and operation. Technical service and maintenance in six aspects in strict accordance with quality inspection to ensure implementation. Hardware development work includes feasibility analysis, overall design, detailed design, experiment, debugging small batch production, production technical specification, technical file summary and follow-up development plan, etc. Software system development includes feasibility analysis, overall design, detailed design, system analysis, system design, programming, testing of commodities, technical summary and subsequent development plans. At each stage of product development, a meeting review should be organized and the review records kept by the Administration. 2. When the demander or other representative needs to carry out inspections at the company's supplier, the company's special person is responsible for matching the inspection of the demander to ensure that the quality requirements of the buyer are met. According to the requirements of the contract agreement, the customer's property for the customer to use or incorporate into the product shall be identified, verified, protected and maintained to ensure that the customer's product meets the specified requirements and the correct method of use is obtained. 2. Control the quality of the incoming material and ask the supplier to provide documentation to verify the quality of the incoming material. 3. Develop a scientific and rigorous installation inspection and inspection management system. 3. When the contract has special requirements, provide after-sales service according to the relevant provisions of the contract, and meet the requirements of the customer to a large extent. 1. After the machine is sold, the whole machine will be repaired free of charge during the year and provide after-sales service for life (except for consumables). 2. The quality problem of the machine, our company will help within 24 hours. 3. Long-term free technical consultation and excellent mold making solutions.